Spring loaded awnings or automatically-retracting awnings are lowered and raised by simply holding the rail of the window awning, and adjusting the height to your liking. They are available in a range of colours and styles, are easy to operate, and don’t have any cords or pulleys. 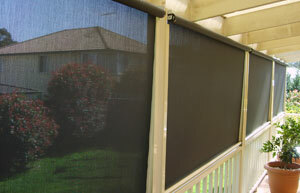 They provide full protection from heat, glare and UV light. 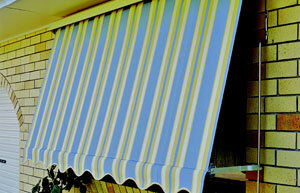 You’re sure to find the spring loaded awnings that you are looking for at Complete Blinds.